payoneer withdrawn, it's that normal? CPA Elites - CPA Marketing Forum CPA Marketing, Help Desk And Experiences Main CPA Discussions & Elites Helpdesk payoneer withdrawn, it's that normal? it's my first request with payoneer, so that is normal? I mean.. i see card balance 0 but my payment is loaded on card.. I re-log and i can see card balance now. 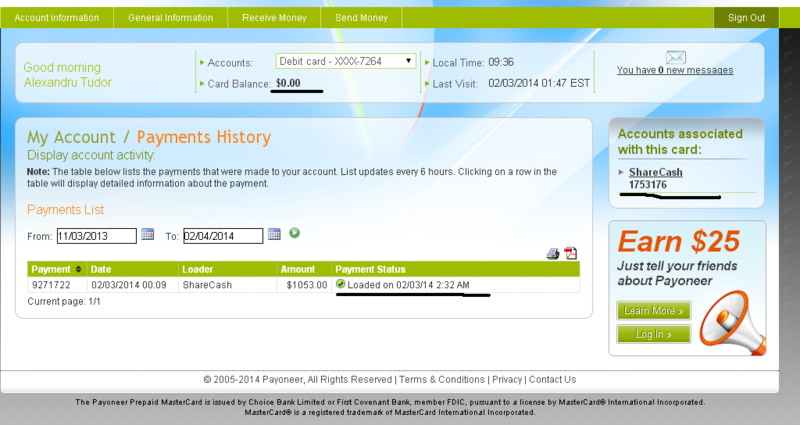 (2014-02-03, 02:24 PM)alxwanted6k Wrote: I re-log and i can see card balance now. If your card application is still pending, please send me a PM with your e-mail and I'll make sure it's reviewed asap. Apologies for the delay as we currently have an extremely high amount of new applications. I have my card now thank you. Sharecash sent me a payment yesterday morning when will it show to be accepted? It depends on their system, however as soon as they make the payment in Payoneer's system you will receive an e-mail confirmation.